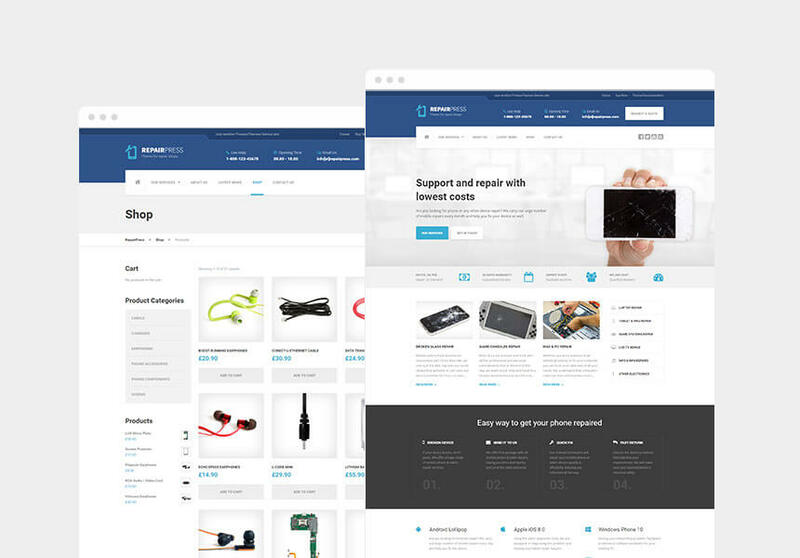 This go-to WordPress theme for technology repair businesses is intuitive and easy to set-up. 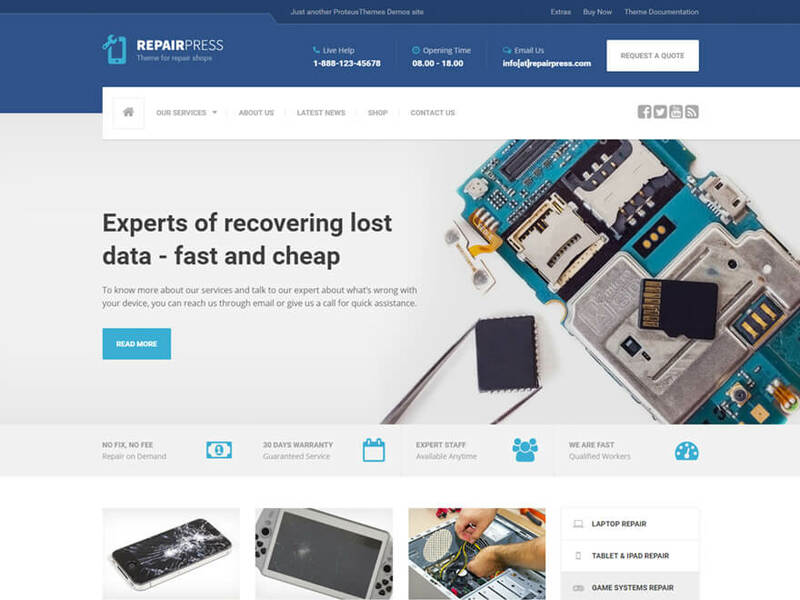 We all need repairs sometimes, and RepairPress is a premium theme for those unsung heroes of the digital age. Whether you repair phones, laptops, cameras or tablets, this is the theme for you. We make sure to mix the perfect blend of design and functionality into each of our themes. 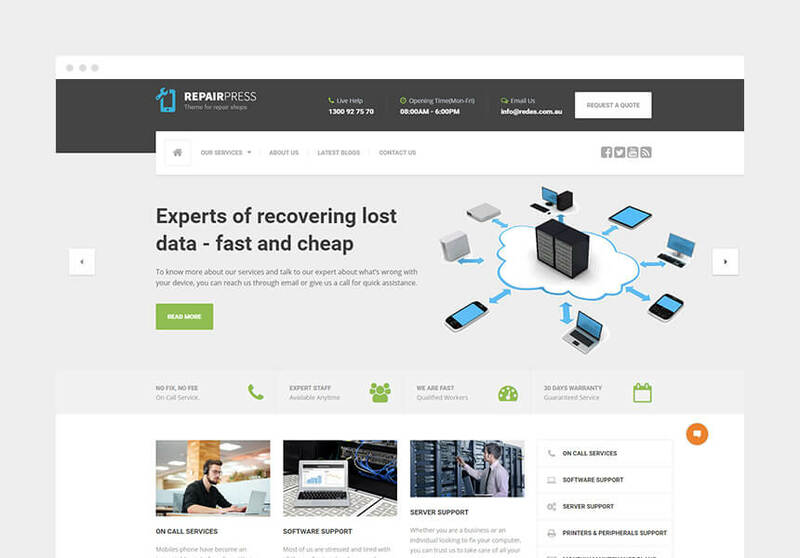 RepairPress is the perfect phone repair WordPress theme to bring your business to the next level. 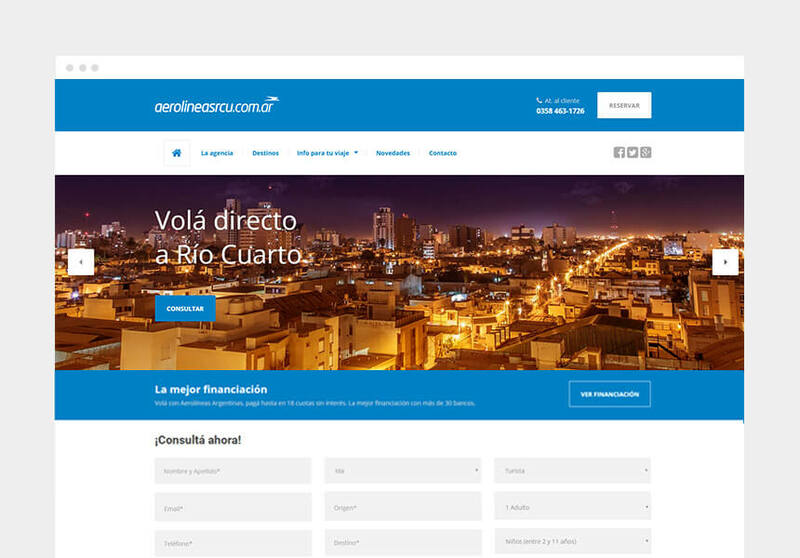 Your visitors will always encounter a visually appealing but simple to use website. 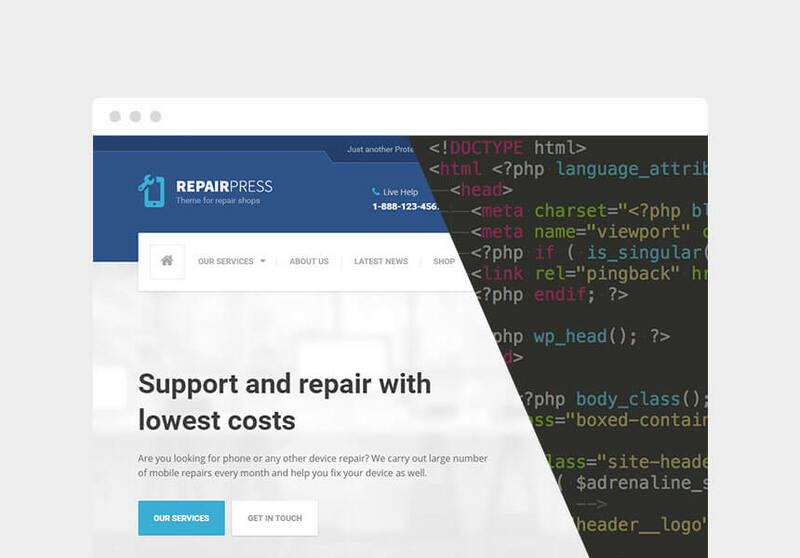 Choose over 12+ custom widgets and make your website using RepairPress WordPress theme in minutes. 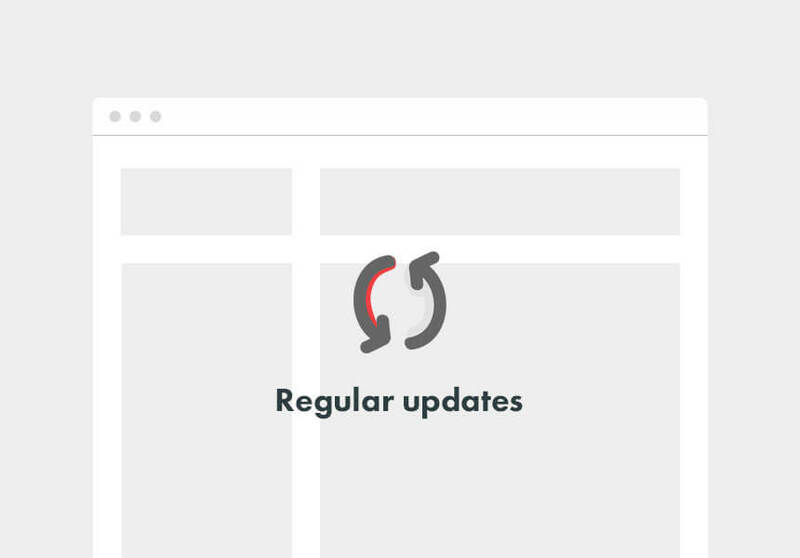 From icon box widget to person profiles, shop, to pricing tables and detailed contact widgets, RepairPress has it all. 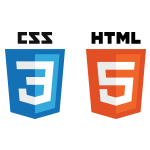 For highly intuitive grid-based customization of your WordPress theme. Whether it is your homepage, ‘about us’ or contact page, with the intuitive drag & drop interface you can easily edit content and layout, bringing an extra dimension to your page. 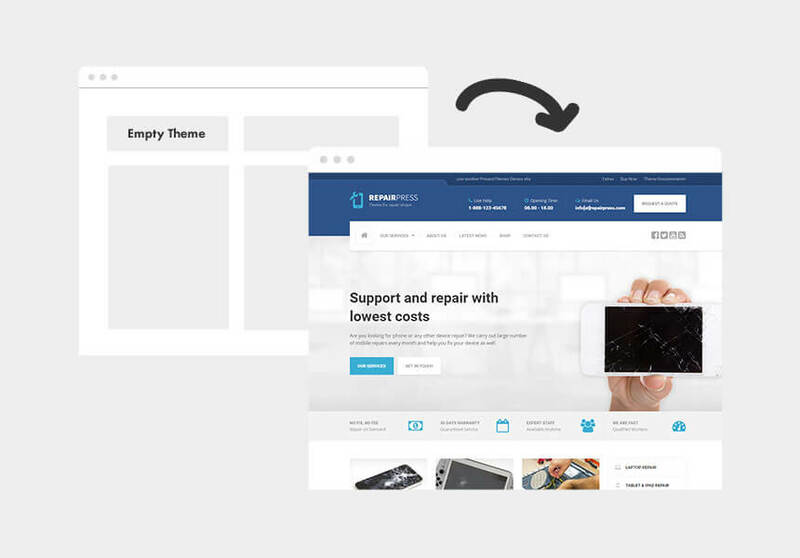 RepairPress WordPress theme allows you to change the colors, layout and widget of your phone repair website in real-time. 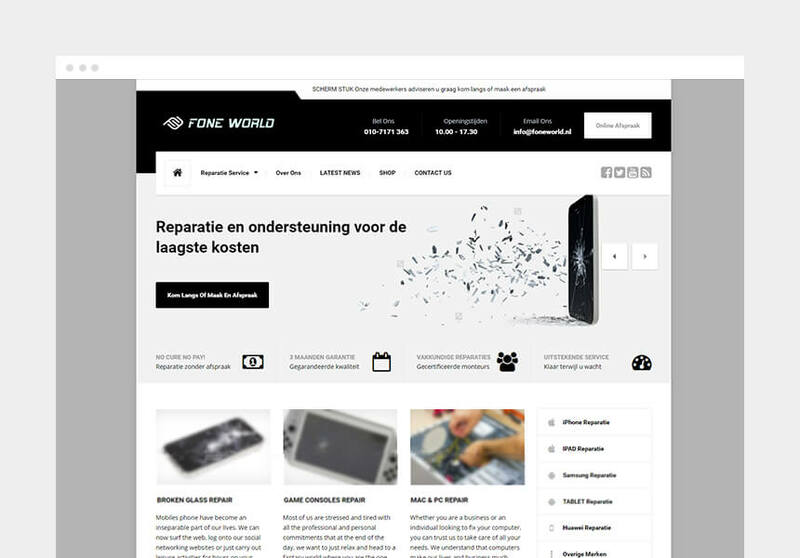 We also tested phone repair WordPress theme with popular plugins such as Visual Composer, Revolution Slider, Layer Slider 5 and WPML. 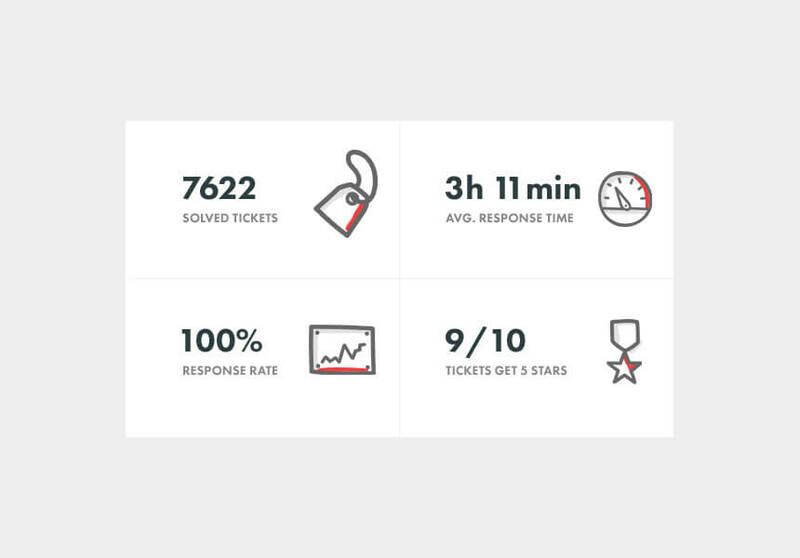 Our expert support team is super responsive. From simple to complex issues - no matter your level of WordPress expertise - we are always here to help. Every element of this theme has been pre-translated into 14 languages. We support languages written in a Right-To-Left direction. I have rarely had such a good and speedy tech support experience as I have had with Proteus. Although there were some issues with one of the themes, my tech support questions were all answered within a few hours. The tech-support persons were always friendly and never arrogant – even though I had some pretty dumb “beginner questions”! improved added a ProteusThemes widgets tab in Page Builder. fixed PT icon substitution functions updated in PW widgets. fixed Person profile and Accordion widgets now accept HTML in their content fields. fixed fixed requiring of the ACF file, so that child themes can overwrite it. fixed WooCommerce category shortcode layout -> [product_category category="cabels"]. fixed sticky navbar was not working if the Navigation widgets were absent. improved removed some VC elements and use the ones in the VC composer package.